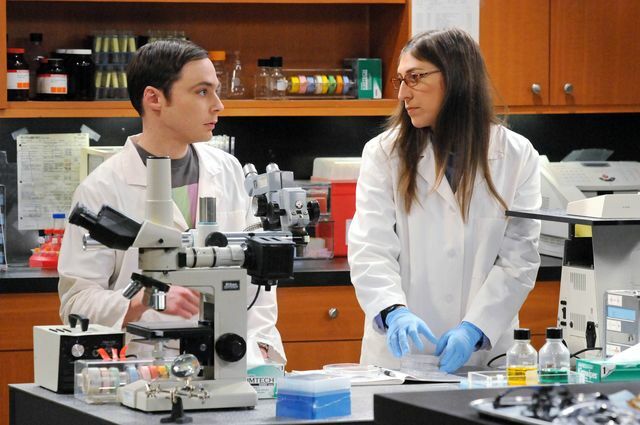 Jim Parsons and UCLA alumna Mayim Bialik are among the cast, crew and executives funding a scholarship for students in science, technology, engineering and math. A co-creator and the cast and crew of the hit television show “The Big Bang Theory” have endowed a scholarship fund at UCLA to provide financial aid to undergraduate students pursuing degrees in science, technology, engineering and mathematics fields. The sitcom, which recently completed its eighth season, follows the lives of a group of young physicists. The Big Bang Theory Scholarship Endowment has already raised more than $4 million, with an initial donation from the Chuck Lorre Family Foundation and gifts from nearly 50 people associated with the show, including stars Johnny Galecki, Jim Parsons, Kaley Cuoco-Sweeting, Simon Helberg, Kunal Nayyar, Mayim Bialik and Melissa Rauch; executive producers Bill Prady and Steven Molaro; and members of the crew. Warner Bros. Television, CBS and other corporate partners also contributed. For the 2015–16 academic year, 20 Big Bang Theory scholars will be selected to receive financial assistance. Each year in perpetuity, five additional scholars will be chosen. Scholarships will be awarded based on financial need to low-income students who have earned admission to UCLA based on academic merit but need additional support to bridge the gap between typical levels of financial aid and the cost of attendance. Fifty-two percent of UCLA students receive need-based scholarships, grants or other aid. That includes approximately 36 percent of undergraduates who receive Pell Grants, federal aid for students from low-income families. Almost one-third of UCLA graduates have parents who didn’t graduate from a four-year college or university. The inaugural group of scholarship recipients will be announced this fall on the set of “The Big Bang Theory.” The scholars will be joined by the show’s stars and producers, UCLA representatives and select benefactors. 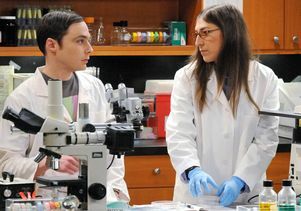 The new scholarship is not UCLA’s only connection to the show: Bialik, the Emmy-nominated actress who portrays Amy Farrah Fowler, earned a doctorate in neuroscience as well as a bachelor’s degree from UCLA, and the program’s science consultant is David Saltzberg, a UCLA professor of physics and astronomy. This is the first time that a scholarship endowment has been created at UCLA by the cast and crew of a television series. Money raised for “The Big Bang Theory” Scholarship Endowment is part of the Centennial Campaign for UCLA, a $4.2 billon fundraising drive scheduled to conclude in 2019, the university’s 100th anniversary. A major component of the campaign, scholarships help attract the best qualified, most dedicated and diverse students.